There was little change in the Irish heifer price for the week ending January 31, 2016 compared to the week ending January 3. 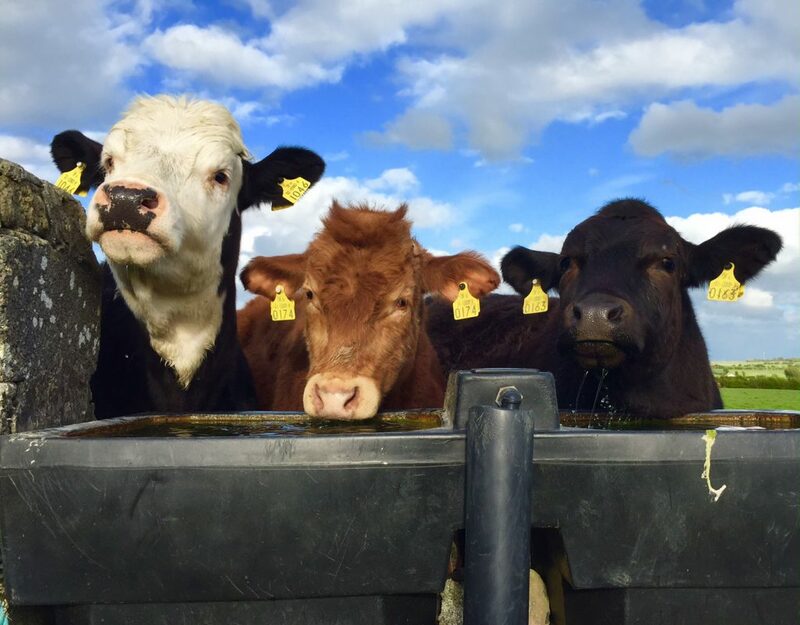 The average R3 heifer price in the Republic stood at 398.5c/kg back only 0.4c/kg from the previous four weeks, figures from the Livestock and Meat Commission (LMC) show. This latest price for the Republic placed it 14.6c/kg above the EU average price paid. 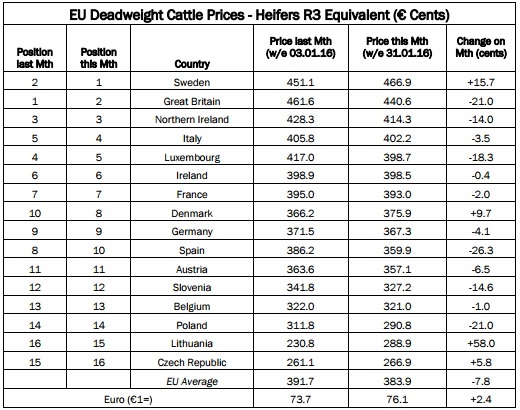 The Republic also holds sixth place on the deadweight heifer price league table. Meanwhile, prices in the Republic remain behind those on the other side of the border in Northern Ireland. For the week ending January 31, the average R3 heifer price in the North was the equivalent of 414.3c/kg. This placed prices in the Republic the equivalent of 15.8c/kg lower than prices in Northern Ireland. Northern Ireland remains in third place on the league table. Looking to Britain, it continues to sit in second place on the league table after Sweden knocked it off the top spot a few weeks ago. 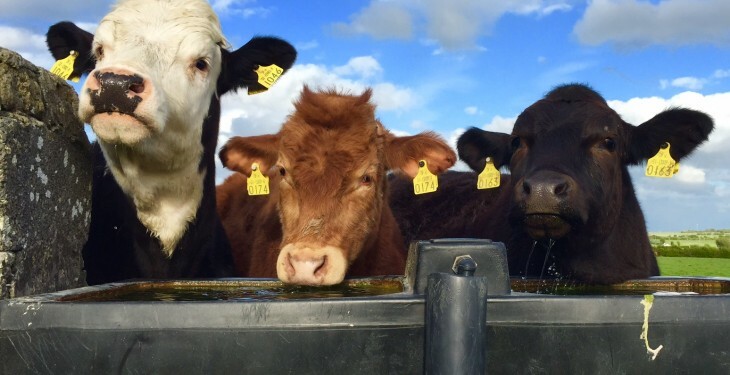 The average heifer price in Britain for the week ending Januuary 31 was the equivalent price of 440.6c/kg. This was a decrease of 21.0c/kg compared to week ending January 3, when it was the equivalent of 461.6c/kg. The British/EU price differential narrowed from 69.9c/kg in the week ending January 3 to 56.7c/kg in the week ending January 31. The euro improved to €1= 76.1p in the week ending January 31.